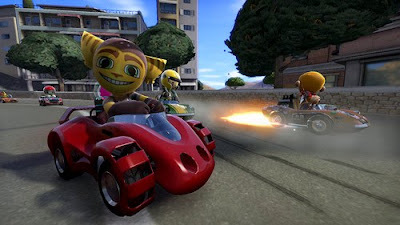 A release date for the hotly-anticipated ModNation Racers has been announced. 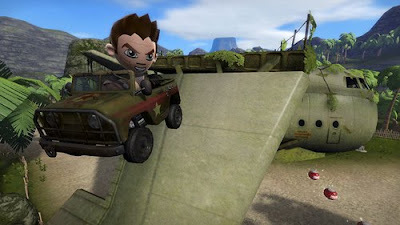 Turns out the game will be racing its way to PlayStation 3s on May 25th. Here's the boxart. 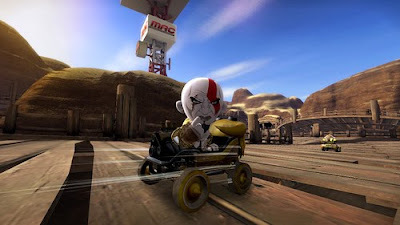 Moreover, if you preorder the game from one of three locations, pending on your location you'll get a unique mod and kart with your game. Preorder from Gamestop and you get Kratos. Amazon, Ratchet. Best Buy, Nathan Drake. Hopefully these will be purchasable via DLC for those of us who want them all without going to all three stores! Enjoy these new pics showing off the characters in action! 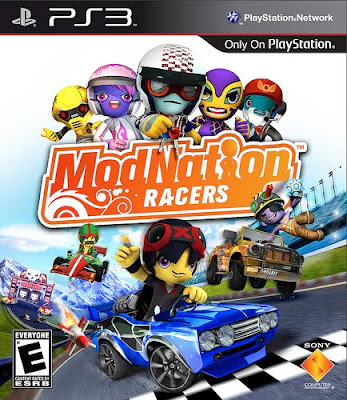 Once again, SuperPhillip Central will have a review of this game and more when it hits PS3s on May 25th.